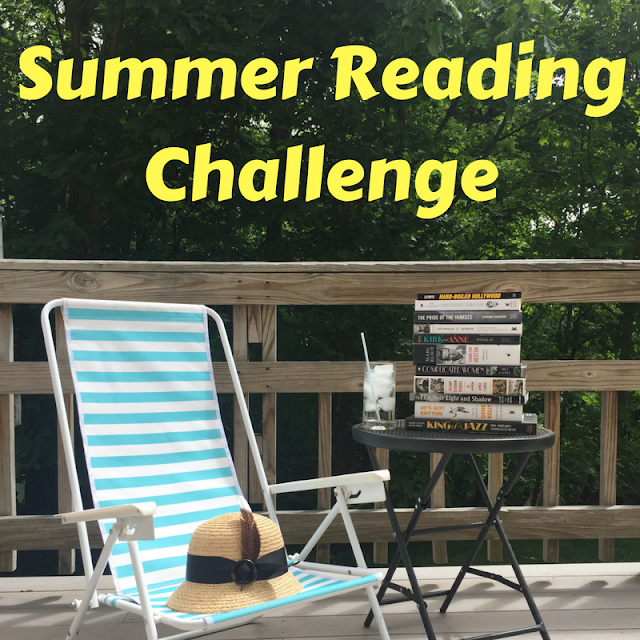 For my second book in Raquel's Summer Reading Classic Film Book Challenge, I decided to read Truffaut: A Biography by Serge Toubiana and Antoine De Baecque. This book could have easily been my "summer reading challenge" in and of itself... I've been toting it around -- all two pounds of it -- since the beginning of July. It weighed on my shoulders in Paris, Rome, and New York. It kept me company in empty hotel rooms, street cafes, and (appropriately) in theaters, waiting for the lights to dim and movies to begin. I even read a few chapters sitting on the floor of the ballroom at The Borgata in Atlantic City, waiting for The Killers to come out. When I finally reached the end of the book last night, I couldn't help but shed a few tears. Partially because I had reached the inevitable and tragic end of Truffaut's life, but also because I knew I'd no longer have this constant companion by my side. So I suppose you can already guess that I liked the book. A lot. I usually approach biographies with a healthy dose of trepidation, scared of revelations that could knock my idols off their velvet thrones. 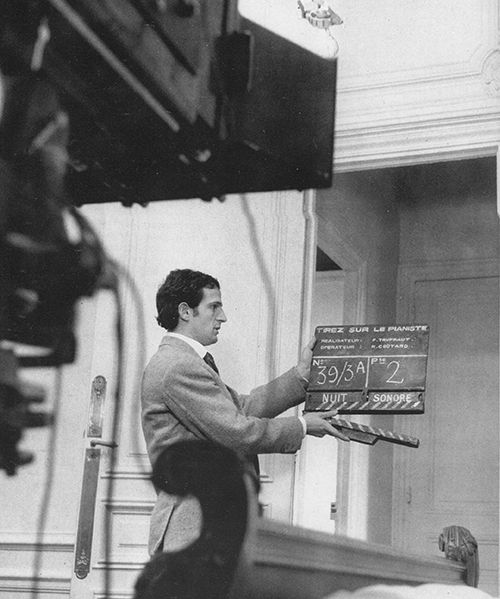 But I went into this one feeling pretty confident that I'd still love Truffaut when all was said and done. I was already familiar with some of his writings, and earlier this year I read a book of interviews that increased my curiosity in his life and solidified my feeling that he was a kindred spirit. The next step was clearly to read the 400 page tome sitting on my bookshelf. 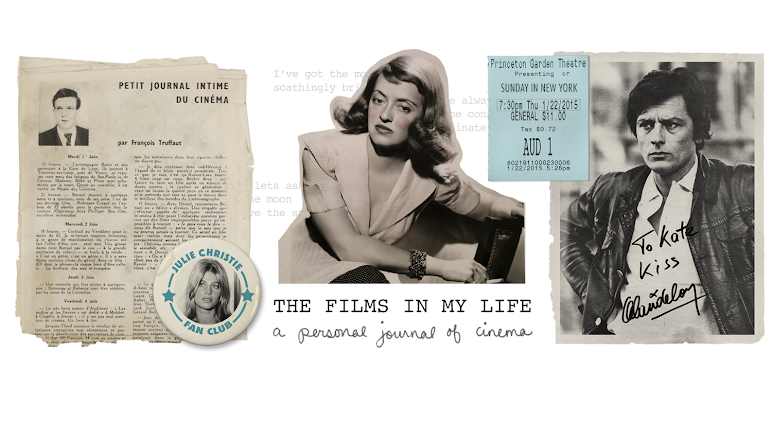 The book itself covers everything from Truffaut's birth to his death in a respectful, yet unbiased tone. It's neither a "shower praise" nor a "tear the guy down" kind of book. It's straight-forward, very well-researched, and incredibly extensive. It includes a lot of direct quotes from Truffaut himself, who apparently kept such detailed records of his life (I mean actual records. In filing cabinets. Organized by date.) that I'm shocked they haven't been turned into a book yet. He also kept files on movies, saving press clippings and swiping stills while he was a kid. I'd love to see those compiled into a book as well! But I need to stop talking about other books I'd like to see and get back to the one I read. Truffaut has been one of my favorite directors for a while, but it wasn't until I read Hitchcock/Truffaut last year that I really became enamored with the man behind the camera. I love his love of movies. I love how thoughtful he was. I love that even when he set out to make a comedy, he'd always end up with a finished product that was tinged with sadness. I love how much he adored Hitchcock. I love that he noticed the subtle details of everyday life and worked them into his pictures. These were things I knew and loved going into the book. 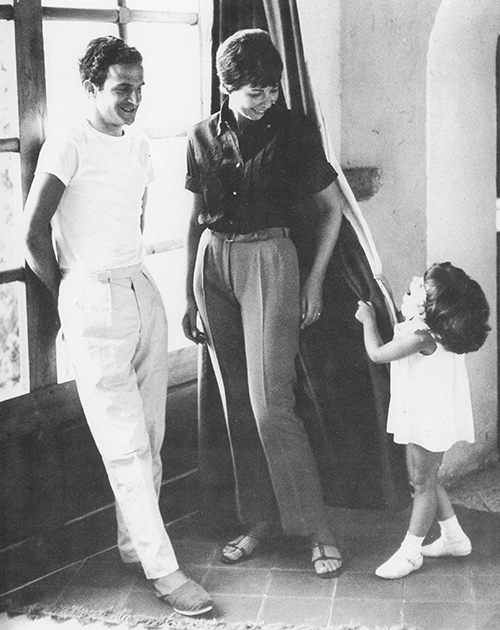 Reading Truffaut: A Biography strengthened that image -- a sweet, sensitive, movie-loving man with a terrible sad streak. The book also sheds light on a lot of details that I wasn't familiar with. I knew that The 400 Blows was semi-autobiographical, but Truffaut's own upbringing was actually worse than it looks in the film. And Antoine Doinel was actually a composite of Truffaut, Truffaut's best friend, Robert Lachenay, and the actor who played Doinel, Jean-Pierre Leaud. "Actually, I have no admiration for Warren Beatty and, moreover, he seems to me an extremely unpleasant person. As far as I'm concerned, he and Marlon Brando, and several others, are on a little list that I've classified in my head as 'Better not to make films at all than to make films with these people.'" On the flip side, I'm sure he must have had a separate list of "Better not to make films at all than to make them without these people" which would have included Jeanne Moreau, Françoise Dorléac, Jean-Pierre Leaud, Fanny Ardant, Charles Denner, and Catherine Deneuve. 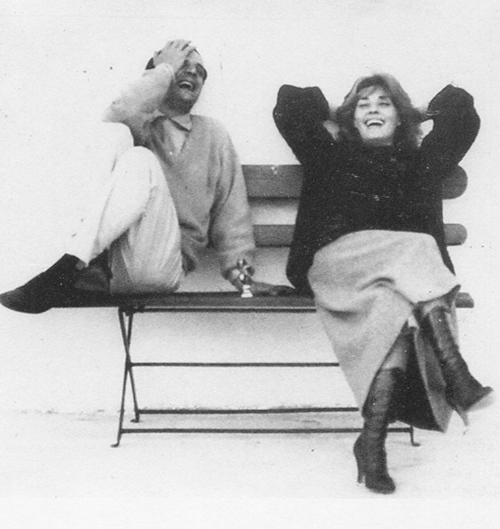 There were plenty of quotes from Jeanne Moreau in the book, and you get the sense that they were incredibly close. I would love to know more (I imagine there must have been a lengthy correspondence or interview series conducted for this book and I just want to see the transcripts SO BADLY.) 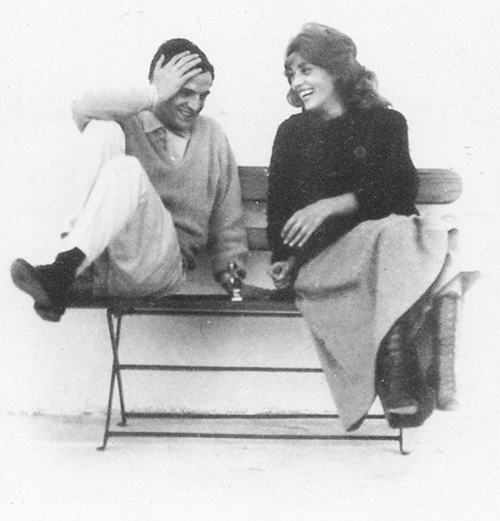 Like most of Truffaut's friendships with women, theirs started out as an affair but turned into a life-long intimate friendship. 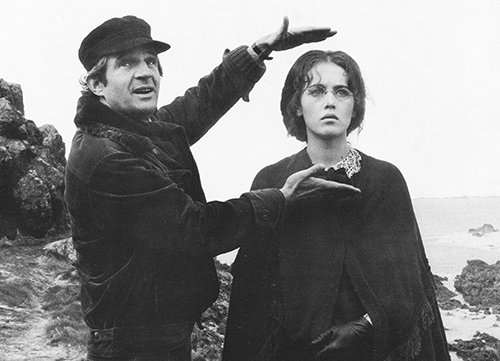 Truffaut and Isabelle Adjani on the set of The Story of Adele H.
Overall I was incredibly pleased with the book and even though it was so comprehensive, it still left me wanting to read more. I don't fault the book for this -- I think it's a testament to how well the authors drew you into his life, and made you feel like you knew Truffaut so well that you leave the book feeling like you need more time with this fascinating man. I'll end with some of my favorite anecdotes from the book. 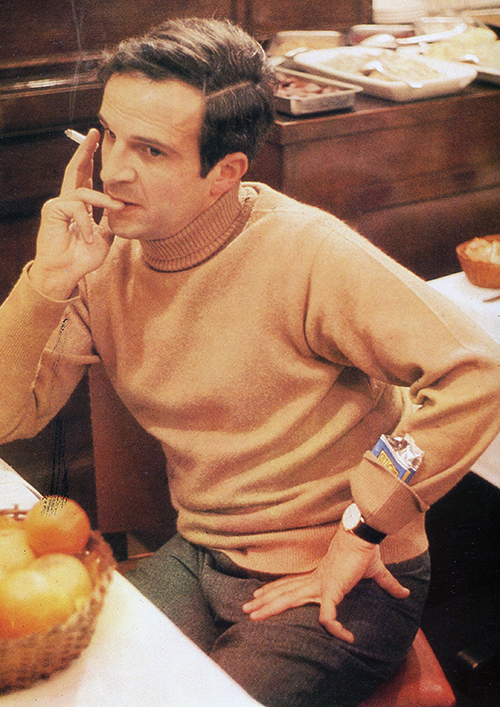 Truffaut, in a letter to a friend, "I like you almost as I like myself, which, God knows, is not saying little." Truffaut writing about the struggle to create art for the sake of beauty when "more important" things are happening in the world. I feel like I could devote a whole post to this particular part of his biography (and maybe I will!) "I'm well aware that in troubled periods, the artist feels himself wavering and is tempted to abandon his art and place himself at the service of a specific, immediate ideal. It's the discrepancy between the frivolousness of his task and the seriousness of history's events that haunts the artist; he wishes he were a philosopher. When these kinds of thoughts come to my mind, I think of Matisse. He lived through three wars and served in none; he was too young in 1870, too old in 1914, a patriarch in 1940. He died in 1954, between the war in Indochina and the Algerian war, and had completed his life's work: fish, women, flowers, landscapes, with sections of windows. The wars were the frivolous events in his life, the thousands of paintings he left were the serious events. Art for art's sake? No. Art for beauty's sake, art for the sake of others. Matisse began by comforting himself, then he comforted others." When the book discusses Truffaut's film "Day For Night" it mentions how some filmmakers (cough, Godard, cough) heavily criticized him for making a frivolous film about movies. 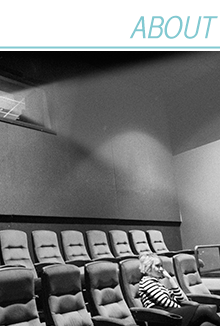 Truffaut defended his intentions as such: "My intent was to make the audience happy on seeing a film in the making, to infuse joy and lightheartedness from all the sprocket holes of the film. Moi, j'aime le cinema"
And finally, this beautiful statement from a letter Alain Delon sent to Truffaut praising the film in which Truffaut directed and also starred, "The Green Room, along with Clement, Visconti, and very few others, is part of my secret garden." Fantastic review Kate. I wasn't even finished reading it when I opened up a new tab, logged into my Goodreads account and added this to my wishlist. I love that the physical book took a journey with you. I have several books that took similar journeys. I had a book about Charlie Chan that went on my honeymoon to Hawaii with me and there is a book I took with me to several visits to the hospital then hospice when my father was dying. Because books contain so much within when you take them on a journey like that they take on more meaning. It's truly wonderful. 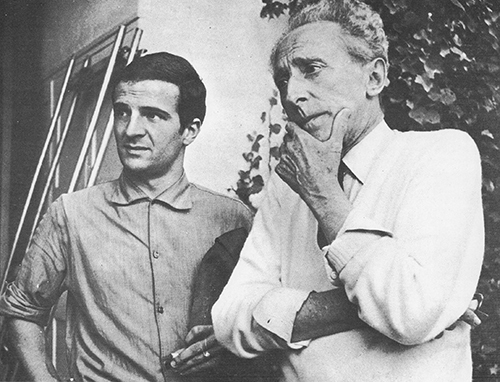 I really loved what you said about Truffaut being a thoughtful person and having a love for movies. I noticed that in Hitchcock by Truffaut and now I"m super interested in him. I really have to catch up on more of his work. Thanks for this review. I'm definitely going to grab this bio and dive in.